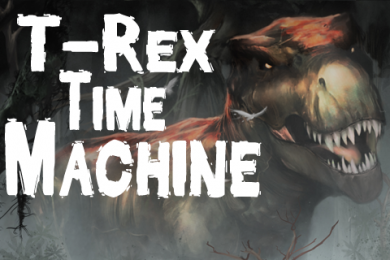 Cath, Chris, George & Chia (a/k/a the Unreliable Narrators) interviewed me about T-Rex Time Machine for their podcast! It was great fun talking to these talented writers about dinosaurs, creating an interactive fiction adventure, and much else. Have a listen. While you’re at it, have a look at my game. It’s your chance to take your best friend back millions of years to see living dinosaurs. MidAmeriCon 2 was an all-round terrific World Con for me this year. Rather than ramble about this and that, I’m doing a series of retrospectives on some personal highlights, in no particular order. One was connecting up with writer buddies Cath Schaff-Stump and Christopher Cornell, whom I met at Paradise Lost. 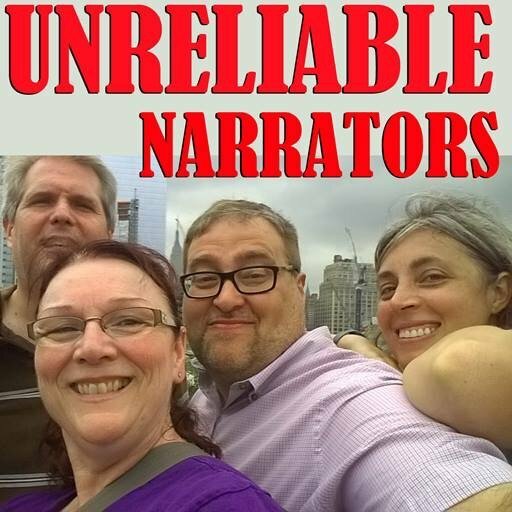 They’ve been putting out a podcast, Unreliable Narrators, that’s ridiculously good. For example, they’ve brought on some very talented SF writers like Ann Leckie and Charlie Finlay, who now edits F & SF. So I was thrilled when Christopher squeezed my MidAmeriCon 2 dinosaur panel into his hectic schedule and mentioned our panel on the podcast. The ebullient Frank Wu led the panelists in a discussion of cool new developments in paleontology plus our conjectures as to courtship and mating strategies for enormous critters that have a row of spikes running down their tails. That’s a subject I’ve tackled in Dino Mate, an Analog story that’s been reprinted by Digital Science Fiction.